Measurements: Each side of the square measures 32mm (1.26"). The circle cut out measures 12mm. (0.47"). 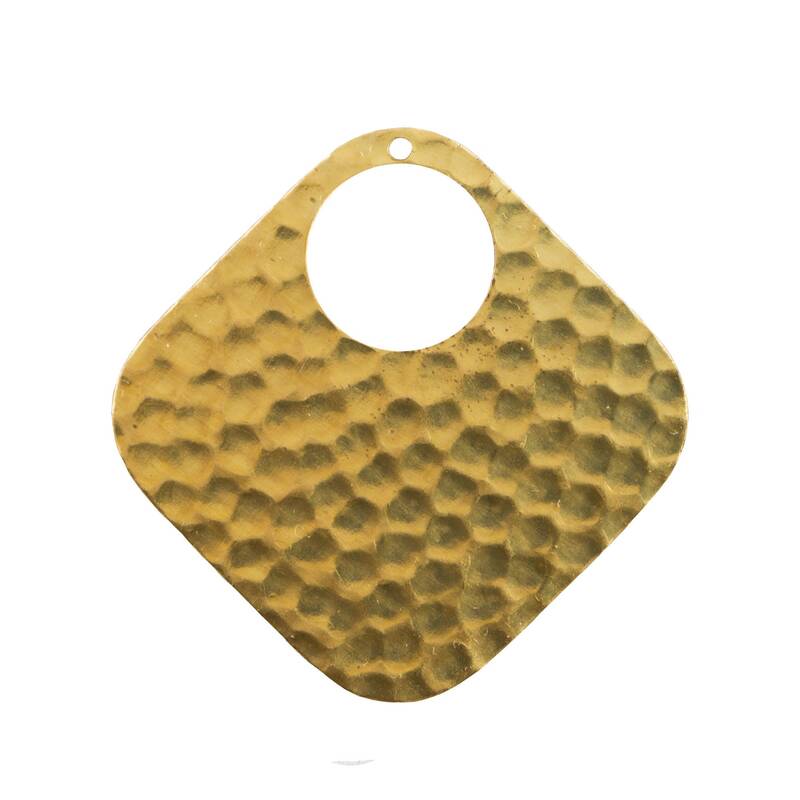 Characteristics: Flat hammered brass square. There is 1 hole at the top and a circle cut out.